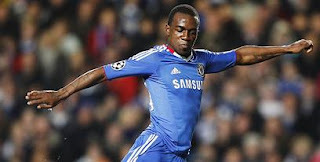 Chelsea have confirmed that Gael Kakuta has joined Premier League rivals Bolton on loan until 1st January 2012. The French winger took in a spell at Fulham last season, as he waits for the chance to force his way into the first-team fold at Stamford Bridge. His path may be blocked at the moment, but the Blues hold the 20-year-old in high regard and hope he will be returned to them in the New Year ready to stake a claim for a regular role. A move to the Reebok Stadium will see Kakuta follow in the footsteps of Chelsea team-mate Daniel Sturridge, who enjoyed a productive spell with the Trotters in 2010/11.